UK-built cars may face EU import tariffs. 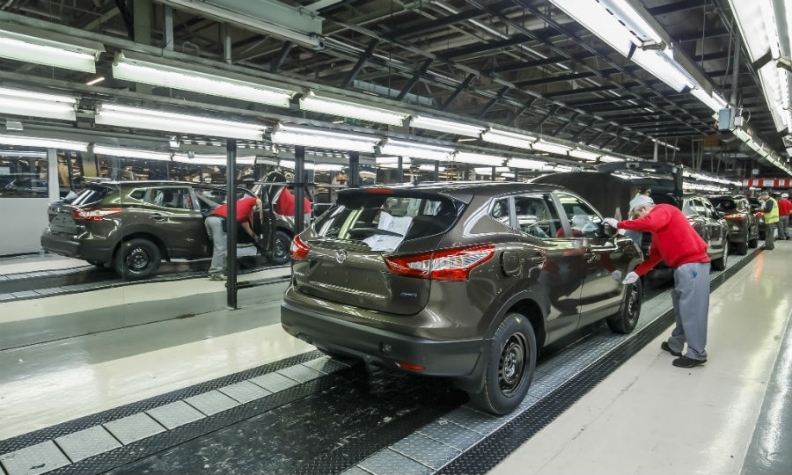 Shown is Nissan Juke production in Sunderland, northeast England. LONDON -- Automakers are frustrated at the lack of clarity over the terms of the UK’s exit from the European Union and are looking for signs that will allow them to make decisions on long-term investments for their British operations. The UK government has started talks with the EU that will eventually determine trading conditions after 2019 when the country officially leaves the bloc. Automakers believe the negotiations will be so complicated that it will take much longer than two years to reach a final deal. Ford of Europe President Steve Armstrong said it was a “tall ask” to expect a decision to be reached by 2019. He doubted companies could wait that long to make investment decisions. “We don’t like uncertainty. The sooner we know the outcome the better,” Armstrong told Automotive News Europe. “We will get to the point where the government will have to accept the need for some transitional agreement to see us through the negotiating period,” he said. Ford has two engine plants and an r&d center based in the UK, and has said that the effects of the Brexit vote this year will cost the firm $600 million. A so-called “hard Brexit” without a trade agreement could result in trade duties being applied as part of World Trade Organization agreements. For cars, the duty stands at 10 percent, with a 4.5 percent tax on components. A hard Brexit could see the UK leaving the customs union, which would have a big impact on the flow of parts imported into UK car plants from the EU. The UK is Europe’s fourth largest producer of vehicles with 1.8 million built last year, of which about half of which are exported into Europe. Just 20 percent of UK-built cars are sold in the country. All automakers with UK operations voiced their preference for the UK to stay in the EU ahead of the Brexit referendum held in June last year. The ruling Conservative party’s position has been weakened considerably after losing overall majority in an election held early June that it called to strengthen its hand in the Brexit negotiations. Political commentators believe the result reduces the likelihood Prime Minster Theresa May will push for a ‘hard’ Brexit. Aston Martin CEO Andy Palmer was the first automaker executive to publicly voice concerns after the election result. "We cannot stress strongly enough the need for rapid and decisive policy direction,” he said. "Clarity over our relationship with Europe must be established quickly together with the wider reassurance to our key trading partners that Britain remains a dynamic and thriving business environment." The fall in value of the pound has helped to boost margins on cars exported from the UK but that has been offset by the increased cost of importing parts from the EU. About 44 percent of parts are localized in the UK, according to the local manufacturers’ association, the SMMT. A return to tariffs and border customs checks would force increased localization, or persuade manufacturers to rely less on UK operations. A high-ranking automaker executive responsible for the strategy of his company’s UK manufacturing operations said increasing parts localization was not an option. “We will not localize more in the UK due to Brexit. I will never do that. Those who say they will are just making music to please the UK government,” said the executive who did not wish to be named because he is not authorized to speak publicly about the matter. Automakers in the UK currently are mostly content to import all but the heaviest parts from Europe, PWC’s Stuermer said. “The English Channel is not an obstacle,” he said. Honda’s UK managing director, Dave Hodgetts, said he was “sanguine” about the negotiations. “I’m sure some reasonable compromise will be the result, but maybe it will take longer than two years,” he said. Honda is currently benefiting from the weaker pound and higher than expected demand in the U.S. for its Civic compact hatchback, which is built for all global markets including the U.S. in its Swindon, UK, plant. Since the Brexit vote last year, Ford has committed to building engines based on a new architecture at its plant in Bridgend, Wales, but Armstrong signaled that Ford could move out if the outcome of the EU negotiations were damaging for the automaker.